This is a family favorite! My kids loved it when mom made it for them and I did too!! 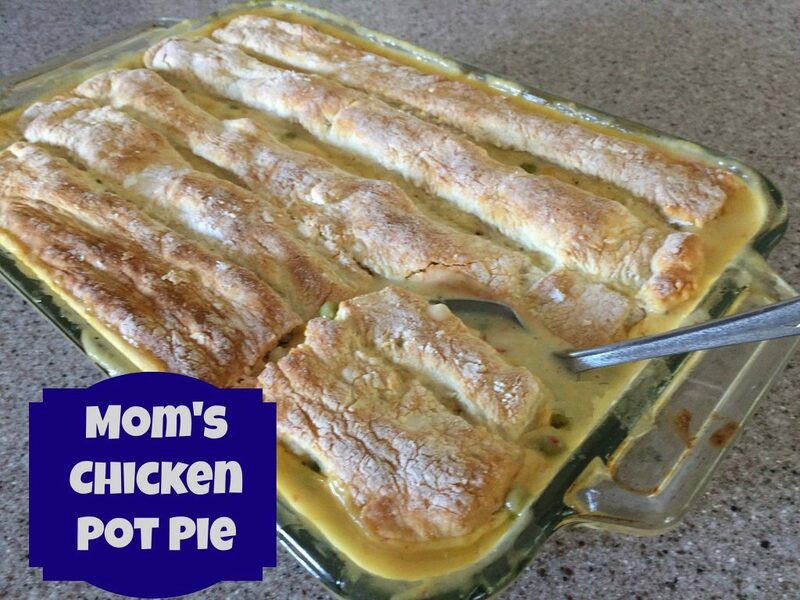 We made this last night and YUM it sure did bring back some wonderful memories!! Hope you enjoy it as much as we do! Boil whole chicken, then debone and shred. Rub butter in 13 X 9 glass baking dish. Stir together soups, peas, corn and gravy mix, add chicken. Gently stir together water and Bisquick mix and knead into a ball. Roll out on a floured surface until about 1/4" thick in shape of a rectangle. Then cut into oblong strips. Place the strips across the top of the chicken/vegetable mixture. Bake for 20 minutes or until crust is golden brown. Remove for oven and let sit for about 20-30 minutes before serving.